Asilomar 2017 - Retreat Planning & Profit Secrets LIVE! Then join Sheri, Meghan, Melanie, and a fab group of Wanderlusting Entrepreneurs for an AMAZING 7-day (6-night) combo Retreat/Live Event July 17-23rd, 2017 in stunning Pacific Grove, California! Sheri - I'm SO ready to teach and travel! OR…Want to talk to a live person? Call 434-218-3152 or book a time here. You’ll walk away with expert advice on EVERYTHING you need to plan your retreat step-by-step (even if you’ve run one before) – what you’re teaching, how to get your message out there, and where you can find the people who are excited to pay for your expertise. In addition, you’ll gain the CONFIDENCE & CLARITY you need to play bigger and finally make a greater impact on your clients by creating your dream retreat. So say bye-bye to overwhelm and doubt – and say hello to an easy-to-implement action plan! Hi! 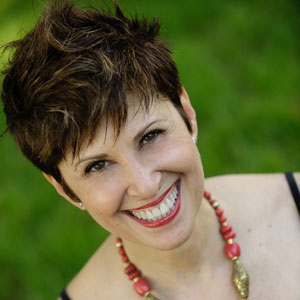 I’m Sheri Rosenthal and like many of you I’m a coach, author, speaker, and retreat leader. And I’m also the owner of Journeys of the Spirit® – a boutique travel agency specializing in experiential travel and transformational destination retreats. My team and I have been running both our own retreats, along with designing and co-marketing retreats for other facilitators for the past 16 years. 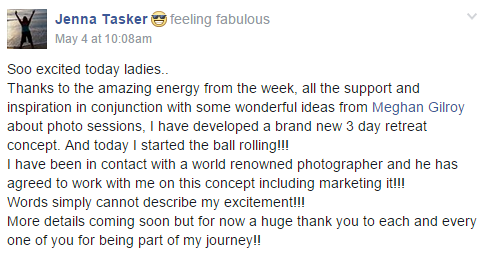 And after creating literally hundreds of retreats, there’s NOTHING that we haven’t seen in the business! Design a retreat sales page that people can’t resist signing up for…. Know that you’re protecting yourself legally while running your retreats! You’ll have the tools to create ANY retreat anywhere in the world or at home! Have NEVER made OVER $10k on a retreat! Are not sure how they are going to market & fill their retreat! It's time to change these numbers together! Sheri, Should I Come To This Event? You’ll be arriving in the late afternoon on July 17th ready to join us for a lovely dinner AND welcome Fire Ceremony. We’ll call in the magic of the fire, where you can let go of any lingering doubts or fears about creating a world-class retreat while setting your intent for creating the most stellar and stunning event imaginable! And what’s a fire without s’mores, laughter and cozy conversations? Bring on the chocolate! 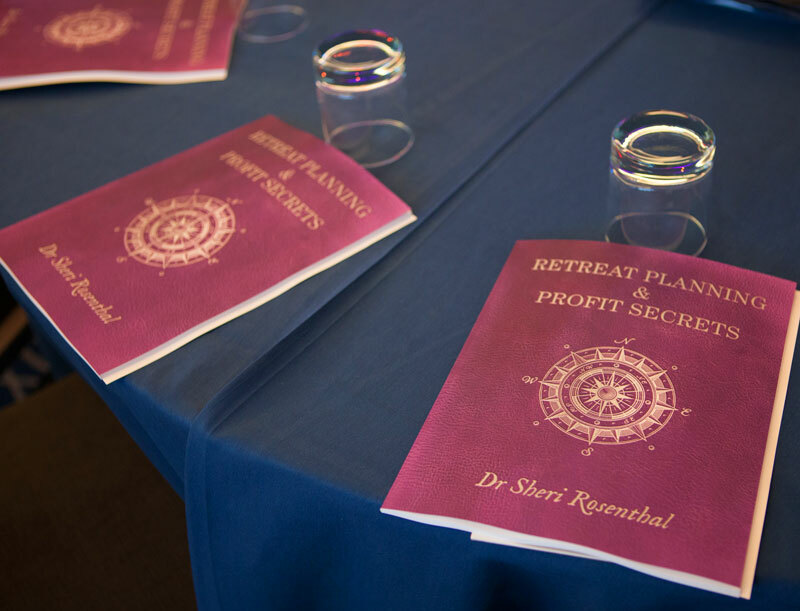 You’ll learn the details you need to create profitable retreats that are both life-changing for your clients AND for yourself! How to choose a title and theme that’s irresistible (your retreat won’t fill if your copy sounds like boring oatmeal!). Don’t be common. Today we discuss how to create a retreat that is going to make you STAND OUT in your niche so it can SELL OUT! Understanding the particulars about picking a location that matches the theme of your retreat so your event stands out from the crowd (not every retreat should be on the beach – it’s key to chose a location that supports your topic!). Size & time matters. What’s the perfect trip length and size for your group (so you don’t scare folks away)? What information belongs on your trip page (to sell your retreat & to protect you)? Crafting unusual activities that align with the theme of you retreat (that also teaches your material). The money is in the details. Today we discuss how to price your event properly and how to net $10k, $50k or even $100k or more on your event! How to PROPERLY price your event (so you don’t LOSE money)! Further monetizing your event (up-sell your participants to your high-ticket programs and more)! We’ll also breakdown how to create programs for AFTER your event so that you have continued income and don’t have to keep chasing clients (which is terribly exhausting!). We’ll cover great strategies for promoting a retreat that sells out PLUS the legal issues you’ve got to know! Learn our TOP strategies for promoting and filling your retreat (if it doesn’t fill you could lose your deposit and your shirt)! Creating your cancellation policy – yes, this is critical (and this can save you thousands)! Problem children. Illnesses. Booking disasters. Yes, it happens more often than we’d like. Today we cover handling any situation with grace. The more transformational your event is, the more likely people are going to get emotional and possibly project outwardly (are you prepared for anything?). How are you showing up for your retreat: your state of mind and limiting beliefs (and also how your clients are showing up and their beliefs and emotional processes). What happens if you get to your hotel and they tell you there is no reservation (and other unbelievable situations)! I started taking it shortly before the holiday and thank you seems like such a TINY word. I hesitated to buy it initially, because of the cost and now I realize that anyone who is planning a retreat can’t afford NOT to purchase it. I’m excited about planning my event. You provide all of the tools necessary and goodies which just add to the everlasting bonus effect. THANK YOU! With the breathtakingly gorgeous grounds beckoning, we’ll be making our way outdoors for a powerful Vision Walk ceremony, led by our very own Meghan Gilroy. In the spirit of traditional Native American vision quest, you’ll be guided to discover the answers to your most challenging questions surrounding your retreat (Struggling with what to teach? Who’s your avatar? Where’s your confidence?) No problem – it’s time to tap into the vast wisdom of your heart! DAY SEVEN – CLOSING CIRCLE! Stay the morning of July 23rd for our closing ceremony and a hearty breakfast and lunch – all included in your retreat package! It will be hard to say goodbye to all your new friends…. I want to profit from a retreat! Six days of SOLID teaching! There will be NO sponsors on our stage – just 100% Sheri, Brandt and our team. We’ll have hot seats, Q&A’s, and special interactive and experiential exercises (after all this event is meant to be a combination workshop and retreat) made to give you the expertise and know-how you need to be a SUCCESS. If so your six night package will include THREE fabulous meals a day and snacks (hey, we have lot’s to cover and we need our energy!). They feature fresh, seasonal, local produce procured directly from their network of regional, organic farmers. (gluten-free, vegetarian and vegan options available). Yum! PLUS: We’ve Got KILLER Bonuses For YOU! to make sure you have the proper follow-up support when you return home. You’ll get our signature online program to make sure you have the proper follow-up support, continued live classes, and community – EVERYTHING you need to create lucrative retreats that SELL-OUT. One year of 26 LIVE coaching classes (all recorded). Six course modules you can watch anytime (forever access). Transcripts for each video course module. One year’s access to our private Facebook group and community, where you can share ah-ha’s, resources, ideas — AND get answers from us year-round. Our famous LEGAL FORMS that you need to protect yourself! Want to know more about the program? Here are all the deets! Who’s Teaching at the Event? Listen…..can you hear Tuscany, New Zealand and Fiji calling? The sand. The surf. The tranquility and harmony. Ahhhhhh! Our RETREAT PLANNING & PROFIT SECRETS RETREAT takes place July 17th – 23rd, 2017 at historic Asilomar which means “Refuge by the Sea.” Located on 107 acres of state beach and conference grounds within the quaint and scenic town of Pacific Grove – Asilomar is celebrated for its restored dune ecosystem and its cozy, historic structures designed by renowned architect Julia Morgan between 1913 and 1928. We don’t mean to boast, but the energy around Asilomar is incredible! It doesn’t get much better than this. The walking paths are peaceful, the buildings gorgeously rustic, and the nature ever so grounding. You won’t want to leave this piece of paradise. Check in to our magical escape – and “check out” from the rest of the world as we infuse every detail of your stay with seaside tranquility and awesome retreat planning know-how! Asilomar is approximately 120 miles south of downtown San Francisco and about 75 miles south of San Jose as well as 325 miles from downtown Los Angeles. The Monterey Regional Airport (MRY) is just 8 miles from Asilomar, while Mineta San Jose International (SJC) is 80 miles to the North and San Francisco International Airport (SFO) is 110 miles to the North. The Monterey Airbus, an airport shuttle service that can bring travelers right to our door, serves the Monterey, San Jose ($40), and San Francisco ($50) airports. Make sure you call them to make your appointment so they know they are taking you to Asilomar. There is an extra $15.00 one way charge to bring you to Asilomar. Make sure you arrive on July 17th by 4pm so you can unpack and make it to dinner and our welcome fire ceremony circle. Our event ends on Sunday the 23rd at 11am so you can pack and make it to lunch before leaving. Ready to join us? Simply click onto our registration page to get our pricing and payment plans. And if you like – bring your family or partner, extend your stay, and take advantage of all the wonderful fun the area has to offer. Visit the Monterey Bay Aquarium or Carmel-by-the-Sea, a quaint, picturesque town over the hill from Asilomar. It is home to approximately 100 art galleries, the Carmel Mission, and a vast array of quaint boutiques and numerous award-winning restaurants. You could also visit the “Old Fisherman’s Wharf,” which offers a variety of restaurants, shops, whale-watching tours, fishing excursions, bay cruises, and theater. I'm on the plane Sheri! Sign me up! Why do I need the live event AND the Retreat Blueprint Program? Our live event is jam-packed with the nitty-gritty know-how on creating a transformative destination retreat. Besides the hugs and amazing community, you’ll dive-deep into our Retreat Blueprint Program – perfect for folks who like to learn IN PERSON rather than online. Oh – and we’ll make sure you have all the follow-up support you need to create your retreat post-event through our 26 live coaching classes and interactive Facebook private group for an entire year! 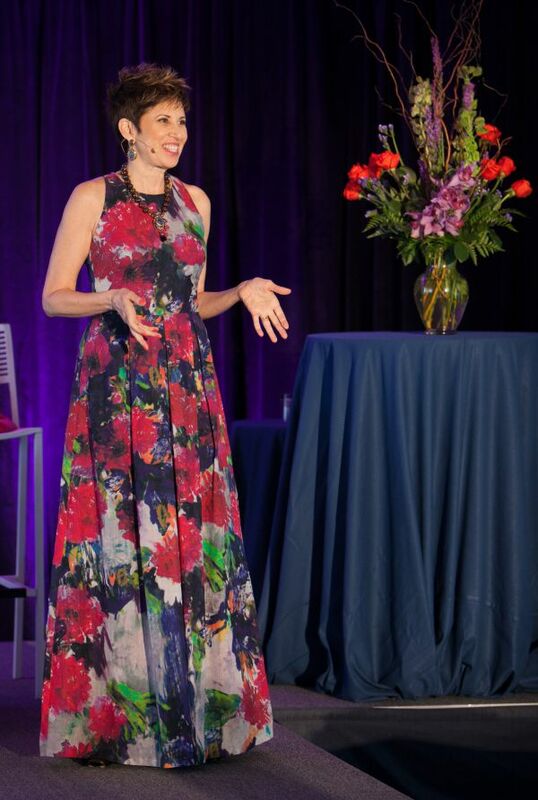 Of course, the information we share at the live event on retreats is extremely inclusive… and we cannot pack EVERY item you need to know about retreats into 5-days which is why we include the Retreat Blueprint Program. You’ll want to keep hanging with us and the coolest wanderlusting entrepreneurs on the planet after our event is over! By having the course – we insure that our students are the best educated in the market so that you can stand out in your niche. With the course, you will have FOREVER access to the core online modules of the Retreat Blueprint Program, a great community to support you once you’re home, ALL our worksheets and legal forms (these add up to over $5000 in bonuses!) and the ability to join our live classes for extra coaching for an entire year. Now THAT is what we call VALUE! What if I'm just starting my business? Is this event for me? I’m just a newbie! Should I attend? Absolutely YES! You’ll learn a TON about building your business – and of course running your retreat. We’ll teach you the shortcut for how to plan your retreat WHILE building your business and help you get clear on what to teach and who your tribe is. Around half of our group tends to be newbies. Please let us save you time, money and frustration that comes from blundering around trying to figure out how to do it right! I’ve run retreats before. Will this event help me? Most definitely! If you want your retreats to be more lucrative, transformative and to sell-out faster, we’ll help you identify what hasn’t worked in the past and the crucial tweaks to uplevel your retreat design and webpage and your pricing, marketing and monetizing skills. 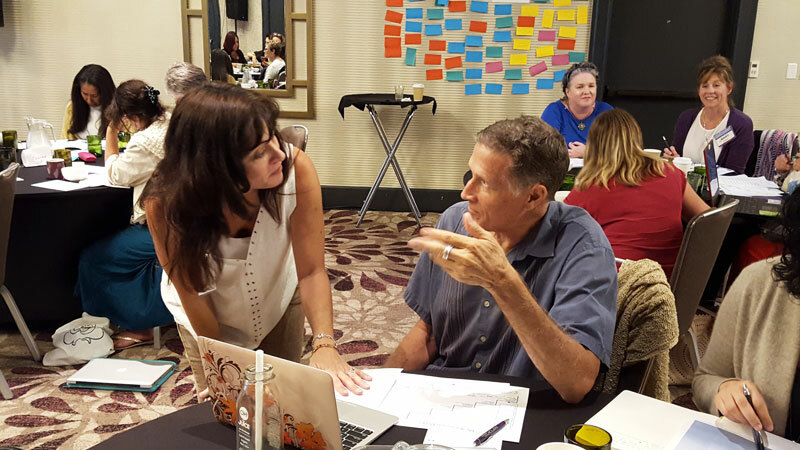 We teach a mixture of beginning and advanced strategies in retreat planning and you’ll walk away knowing how to create a WORLD-CLASS retreat and grow your retreat-worthy business so you can make a bigger impact and income. I’m a travel professional, event or meeting planner. Is this for me? Oh yes! 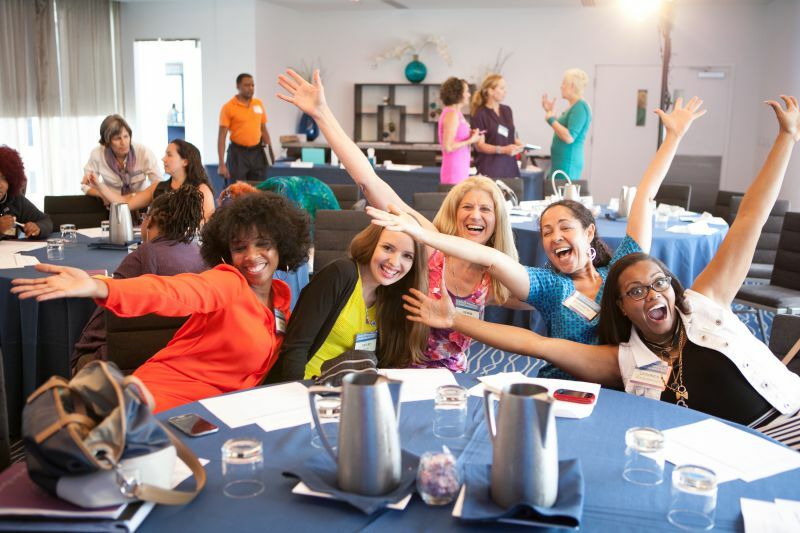 This event is perfect for travel professionals, agents, meeting and event planners and folks who want to plan retreats for others. That’s because you will be surrounded by retreat leaders and you will see very clearly what their needs are and how you can serve them in the best way. Plus you will be able to do so much for your retreat leaders – you’ll be able to help them create a great page that sells, price their retreat properly, help with their marketing and monetizing – all items that are going to make you more money than just getting a travel commission or just assisting them in managing their retreat. You’ll be learning to do what my travel company, Journeys of the Spirit, has been doing since 2003. There is plenty of business out there and we are happy to help. We have lots of travel professionals as well as meeting planners at our events and in our program. I want a roommate - how can I arrange that? So many folks are looking for roommates and we love that! Can I stay at another hotel? What about other hotels? Or even at a friend’s home in the area? If you do that you are going to need to purchase a meal plan from Asilomar because you are not going to have time to go back and forth from your hotel to the retreats for lunch, etc. Part of the fun of this experience is having time to relax, unwind, hang out and network with your new friends during downtime. So the retreat is MUCH more enjoyable when you stay with us! Asilomar’s SIX night package including 3 meals a day is: $1157 USD per person double occupancy and $1760 per person single occupancy. So if you remove this amount from the total price of the event you are not saving a lot of money. Their room and board package is really amazing for 6 nights plus all your food. Not sure you can beat that anywhere unless you happen to live locally. And if that’s the case simply email us and we’ll register you manually. 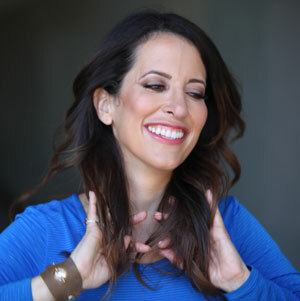 If I've already taken your Retreat Blueprint Program is it worth coming to this retreat? Are we going to be learning anything different than in the course? First of all, we are dying to get our arms around you, give you a big squeezey hug and meet you in person! And then… we’ll jump into teaching the course live – which is VERY different from working the course online. But we’re not done yet. As you’ve already experienced, we love peeling back the curtain on how to create a TRUE transformational destination retreat. However there is another level of experience that happens when you see how we run our retreat so you get great ideas on what live activities, ceremonies and goodies you can add to your retreats. As you know, we ADORE you. We’re all about delivering jam-packed info, helping expand your mind to what’s possible and cheer-leading you to reach your dreams and goals. Now just imagine 5 whole days of fantastic togetherness LIVE! **PS: As a course member you get special pricing for the event so make sure you are on the special page JUST for program members! 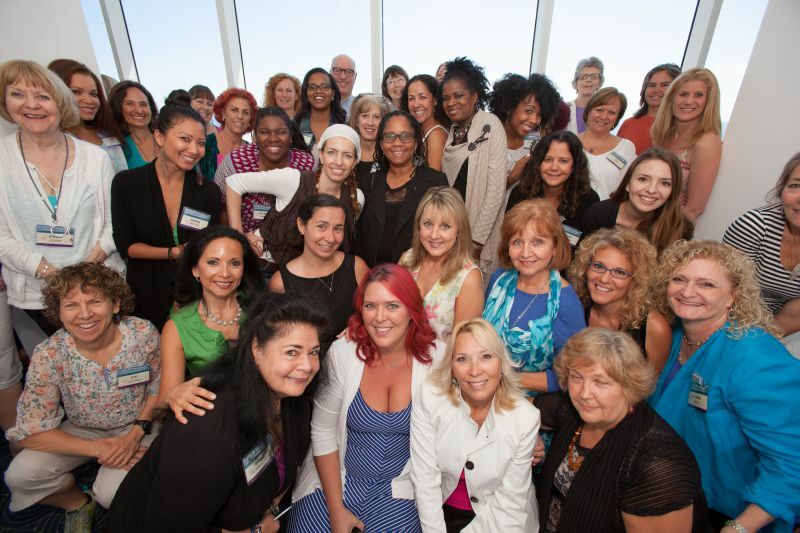 I am SO grateful I took the leap and took your Retreat Program! Even though I had already led two very successful retreats to Costa Rica, I had no idea how to handle the legal, disclosure, and insurance details – and not only did this cause a lot of stress, but it ended up negatively affecting my bottom line! 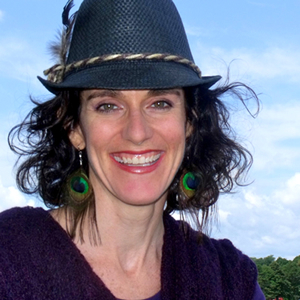 By taking Sheri’s course, I feel so much more confident about booking my next retreat! 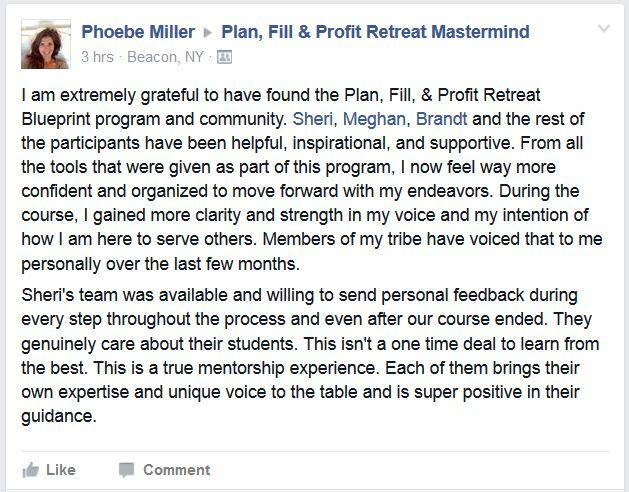 Thank you so much, Sheri for creating this content rich and supportive community where anyone who wants to create and lead retreats can confidently make it happen!